Anna Dzenis is a student of the fifth year of Psychology at the University of Gdańsk, specializing in psychology of children and adolescents, social pathologies and juridical-penitentiary psychology. She completed numerous trainings, including: ‘Diagnosis of a Child, ‘ Applying Behavior Analysis in Therapeutic Practice’, ‘Diagnostic Skills and Tools of a Child Psychologist’, ‘The Issues of Contact in Diagnosis and Therapy of Children’, ‘Behavior Disorders and Procedures of their Reduction’, and ‘Diagnosis and Therapy of Children with Asperger Syndrome’. She participated in training on Sherborne Method and did her one-year-long volunteership in a Specialist Preschool with therapeutic profile, implementing the method. 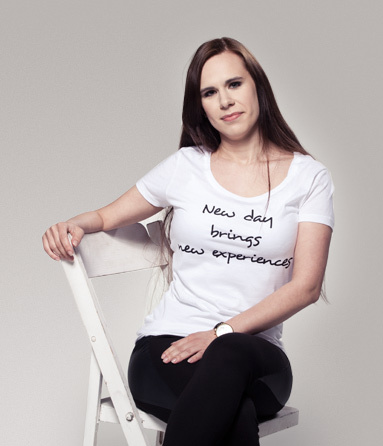 She did apprenticeship in Rehabilitation and Educational Center in Gdynia, as well as in Diagnosis and Therapy Center for Developmental Disorders.